God uses government to maintain order in society. 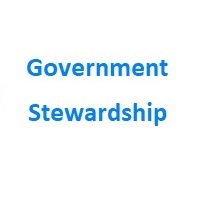 All Christians are responsible for good government stewardship. The people established the U.S. Government to protect the rights of the people. Also to protect their property from the wicked that desire to abuse them. The founders designed our government to rule over a public that is mostly religious and righteous. This maintains a small government . In contrast, as our society becomes less committed to Jesus Christ, Christians must make extra effort to monitor, alert, and participate in government. These posts can help. There is a Christian responsibility to vote November 6th 2018 for the more godly and honorable candidates for election. The very term election originated in voting for the person that is more devout to the Christian faith and more likely to be part of the elect of God, those who have been reborn in Christ. Surveys by George Barna indicate that those who rarely attend church or consider themselves Christians not committed to evangelism, Barna would categorize as born again. They tend not to vote or to vote based on non-biblical and secular standards. These are marks of immaturity in Christian discipleship. They are swayed by the liberal media and false advertising. In the USA, surveys estimate between 30% and 50% of the population consists of born again Christians. Additionally, those mature in the Christian faith, Barna categorizes as evangelical. They have a commitment to living their lives on biblical principles and standards. Also they demonstrate a devotion to God that includes showing God’s love by sharing the Gospel of Jesus Christ. They tend to educate themselves on the candidate’s positions in light of biblical truth and standards. In the USA, there are estimated between 8% and 15% are considered evangelicals. Some churches make efforts to avoid talking about politics. Others encourage voter registration drives. Even further, some distribute voter guides or even talk about biblical values in the pulpit. If our government is to become more civil and fiscally conservative, more Christians need to encourage others to vote with biblical convictions. We need to encourage one another to vote smart. We need to be better stewards of government and vote November 6th 2018! Finally, The Republican Party may not perfect, but the Party Platform includes a push to restore the right to life. There are voter issues we should discuss and encourage others to consider from a Christian perspective. Take time to talk about the election, pray for wisdom, vote, and pray for our government leaders. I was not able to find another easy listing of Virginia Beach conservative candidates running for office in 2018. Therefore, I decided to collect a list on this page. According to their bylaws, the Republican Party of Virginia Beach cannot fund advertising for candidates for non-partisan races. In contrast, I am happy to devote some of my resources to do so. I created a Virginia Beach Republican voter guide printable flyer in PDF format you can print out to offer to people you know in November. The below list consists of those I have met or heard about. Not authorized by a candidate. By conservative I mean those that wish to conserve what is good and limit the size of government to the essentials. Also those that consider themselves Republican or Libertarian. Furthermore, this would exclude those that consider themselves liberal or progressive. You can find out more about where the candidates stand on the top issues facing the city council at the Virginia Pilot online. 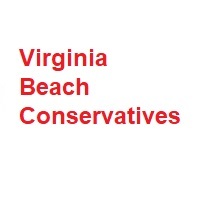 Finally, please let me know of any other conservatives in Virginia Beach running for election in 2018. 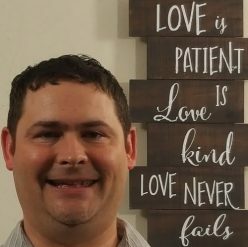 I hope this list helps you elect Libertarian and Republican candidates for Virginia Beach City Council, School Board, and state and federal offices. I was not able to find another easy listing of Virginia Beach conservative candidates running for office in 2018. Therefore, I decided to collect a list on this page. According to their bylaws, the Republican Party of Virginia Beach cannot fund advertising for candidates for non-partisan races. In contrast, I am happy to devote some of my resources to do so. I created a Virginia Beach Conservative voter guide printable flyer in PDF format you can print out to offer to people you know in November. The below list consists of those I have met or heard about. Not authorized by a candidate. Recovery efforts from Hurricane Florence continue in North Carolina, South Carolina, and some parts of southern Virginia. It is sad to see the devastation caused by the storm. In contrast, it is relieving to see help getting to those in need. Consequently, we need to increase flooding and disaster preparedness efforts personally, by community groups, and the government. There appears to be a lack in two areas of preparedness. First, limited notification of flooded roadways. This resulted in some vehicles lost on flooded roads. Second, thousands of people lacked a good plan and/or execution of evacuation and recovery after the disaster hit. If you live in a community with a history of flooding, please contact your community groups and city government about installing these sensors to help protect lives and property. Secondly, an article by Dave Gammon focused on government climate policy solutions. He urged politicians to work together and honestly consider conservative and liberal climate policy solutions. I applaud his desire for honest cooperation to generate government policy. People should encourage politicians to use science based solutions. Though he pointed out some flaws in liberal and conservative thought, I found some flaws in his article. Liberal media and politicians promote the term “climate change”. The public realized that scientists failed to prove man-made “global warming” is a global threat. So liberals replaced the term “global warming” with “climate change.” The problem with the term “climate change” is that the climate is always changing as there are four seasons. Mr. Gammon seems to assume that our use of fossil fuels significantly contributes to rising sea levels. This has not yet been proven beyond a reasonable doubt. This leads to the assumption that mankind can impact climate change by changing our energy sources. The government should encourage the use of renewable energy by using it for government facilities. Also, government should not require its use by the public. Our government should focus on addressing pollution proven to be harmful to people and the environment. Power companies should make the costs for cleanup of toxic waste more apparent to rate payers. Also government could increase fees or fines on fossil fuel use by power companies. When it comes to flooding, government at all levels should take reasonable measures to reduce the impact of flooding and encourage people to avoid developing property in flood prone areas. Government should improve flood zone mapping and adjust flood insurance costs to more accurately reflect recovery costs in flood zones. Finally, see more content on Environmental Stewardship. This past week, the despicable behavior of Democratic Senators and liberal protestors during the hearing to confirm Brett Kavanaugh to the U.S. Supreme Court appalled me. The liberals/Democrats in the room disrespected the offices of the Senate and the Supreme Court. Also they rudely interrupted the proceedings. Finally, they could not find any evidence that disqualified Kavanaugh. If this is what they do when they are in the minority of control, I would hate to see them gain majority control. I hope this helps you help Republicans win elections in 2018 and beyond. One of the reasons the people elected Donald Trump to be President was his promise to appoint righteous judges. He appointed judges that respect the U.S. Constitution, the separation of powers, and the original intent of our Founding Fathers. This group includes Judge Kavanaugh. It took me a few dozen searches on three different search engines to find a reasonable article that clearly defined a few campaign techniques Republicans can use to increase their majorities in the House and the Senate in 2018. I was really trying to find a listing of issues and positions that would encourage conservatives to get out the vote and avoid increasing the political passions of liberals. I did not find such a reference. President Trump has a way of stirring up both groups. Here are some things that should stir up conservatives and deflate those who wish to promote illegal and immoral activity. We should strive to conserve and hold on to that which is good. First, Democratic Party leadership has pushed for open borders, ignoring illegal immigration when they are in power. Also they push to legalize criminal trespassers and invaders. They want to grant citizenship to millions of illegal aliens. Republicans need to point out that if Democrats gain control in Congress, even more illegal aliens will flood across the border. Conservatives respect the rule of law. They should push for more funding to secure our borders before granting the right to work and educate here without the right to citizenship. Immigration should be handled with justice and compassion. Second, Democratic Party leaders believe in expanding restrictions on gun ownership and sales. While they say it is intended to improve public safety, research has shown it normally makes places less safe. Cities like Chicago and Baltimore have been run by Democrats for years and have very restrictive gun laws, but remain high crime areas. One reason is because law abiding citizens cannot defend themselves or others against criminals with guns. Crime rates go down when responsible gun ownership and concealed carry permits go up. Spending government money to confiscate or buy guns from law abiding citizens is a waste of money and resources. They would be better off with qualifying and paying part time deputies to patrol high-crime areas in those cities. Also, Republicans should promote the enforcement of existing laws to ensure background checks are done to prevent criminals and those with mental illnesses from easily purchasing guns. Third, Republicans passed an historic tax cut in 2017 that reduced personal income taxes and corporate tax expenses. This led to more capital available to reinvest in growing the economy. Democratic Party leaders want to increase taxes and continue to spend more than the government receives in taxes. Republicans need to promote a balanced budget approach that maintains military might and reduces wasteful discretionary spending. Our grandchildren should not have to pay for our indulgences. We should not pass our debts on to future generations. Fourth, if Democrats gain control in Congress, they will pursue impeachment on the President and White House officials despite the lack of any evidence they have committed crimes while in the White House. This would be the lame investigation of Russian collusion with the Trump campaign on steroids. No evidence, but a long investigation and waste of taxpayer money. Also, evidence shows the ones who were in collusion with the Russians include Hillary Clinton campaign and liberal deep state actors in the FBI and Department of Justice. Republicans should push for proper legal investigations that follow the evidence, not political machinations. Finally, if you have some other good ideas to help Republicans win elections, please let me know. With the retirement of the Supreme Court Justice Anthony Kennedy people are expressing hopes and fears. Complaints and concerns are expressed in the media, by politicians, and on the Internet. Recently, there was the stir about the handling of justice with illegal immigrants crossing the border with children. The Senate Democratic Party leadership has hindered the cause of justice in our society by delaying the filling of judicial positions by qualified people nominated by President Donald Trump. This is a big factor in causing backlogs of court cases. This is also a factor in why it takes a while to process illegal immigrants with children. Another part of the problem is the laws passed under President Clinton with support of Democratic legislators requiring certain procedures in processing illegal immigrants that caused the separation of children from adults with the intent of protecting the children. Since the Obama administration applied a catch and release philosophy and declined to uphold the law and prosecute illegal alien adults with children, they incentivized illegal aliens to bring children with them and put them in harms way. When the Trump administration began upholding the laws and dis-incentivized illegal immigration with children, the Democrats got all in an uproar over upholding the laws they passed. The intent of the Trump administration of was to protect the children, not harm them. In accordance with the law, they separated children from the law breaking adults that brought them into the country illegally. While they could have handled the public relations better, they were within their legal rights and had honorable intentions in protecting the children with compassion. Concerned about children brought illegally into the USA? Check out this reasonable analysis on solutions from National Review and contrast it with Jesse Watter’s review of the disingenuous comments of Democrat Party leaders that caused the problem and refuse to fix it. It would also be good for you to review Charles Krauthammer’s solution for the country’s immigration woes. The government is in place to uphold the laws. The church is in place to offer compassion to those who are suffering. Christians should respect constitutional laws. Also they should work with charities to care for the unfortunate. Finally, the should work peaceable to change laws that are not helpful to our society. We need more conservative senators to move forward at a national level with policies with proven success in conservative states. I pray you vote Republican and encourage others to do so. With the retirement of the Supreme Court Justice Anthony Kennedy people are expressing hopes and fears. Complaints and concerns are expressed in the media, by politicians, and on the Internet. This includes some controversy as to whether or not or how soon the replacement justice would help overturn Roe v. Wade. Some politicians said they would vote against a nominee if they believed they would overturn that decision. One of the potential nominees was unfairly attacked for her faith by Democratic Senator Dianne Feinstein decrying “dogma lives loudly in her” during her hearings on an appointment. This was an example of religious freedom judicial abuse. I recently read a book on the foundations of our country in regards to God and the Constitution. Also I read one describing the differences between modern conservatism and liberalism. One key change came in 1947 when Supreme Court Justice Hugo Black used Jefferson’s extra-constitutional metaphorical language of “the separation of church and state” as the key to the First Amendment. This decision began the significant assault on religious freedom by the judiciary that disregarded the original intent of the phrase. It disregarded the concept of equal treatment before the law and the rights to life, liberty and pursuit of happiness declared in the Declaration of Independence. When Jefferson wrote that letter to a church he intended that phrase to indicate protection of the church from government intrusion or mistreatment. I pray the next Supreme Court Justice will restore the right to religious freedom that previous courts have denied. The Senate Democratic Party leadership has hindered the cause of justice in our society. They have delayed unfairly the filling of judicial positions by qualified people nominated by President Donald Trump. This is a big factor in why there are backlogs of court cases to be settled. We need more conservative senators to speed up putting more judges in place that honor the Constitution and religious freedom. I pray you vote Republican and encourage others to do so.